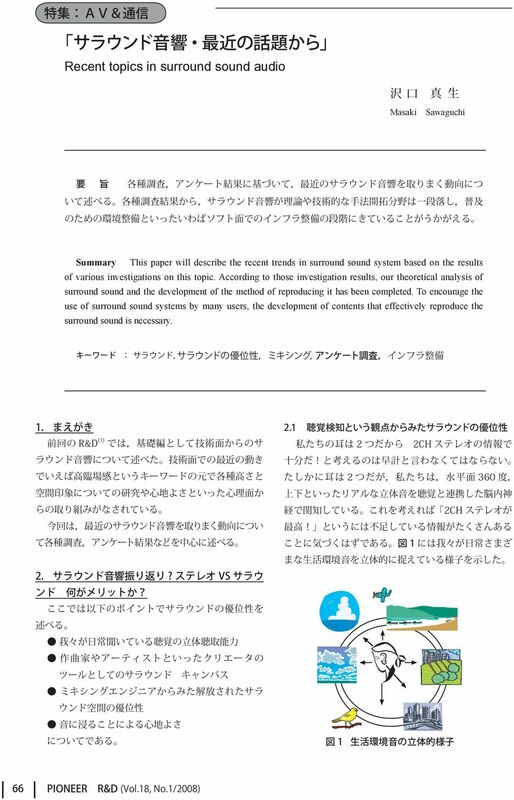 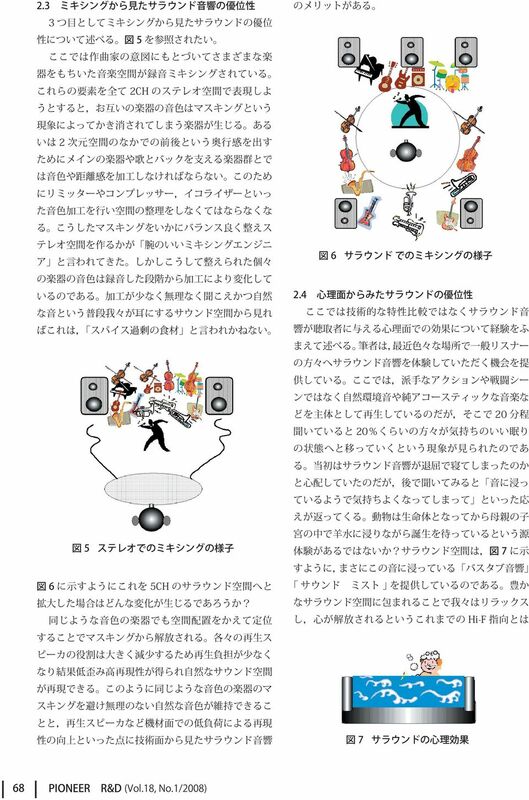 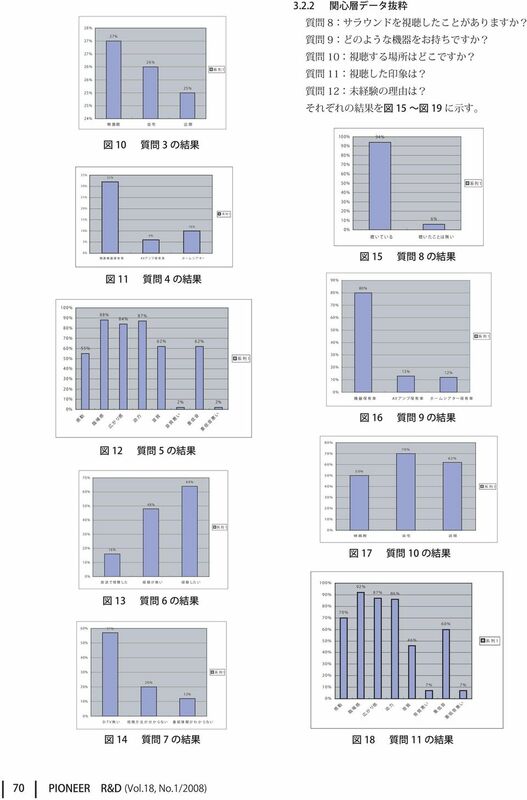 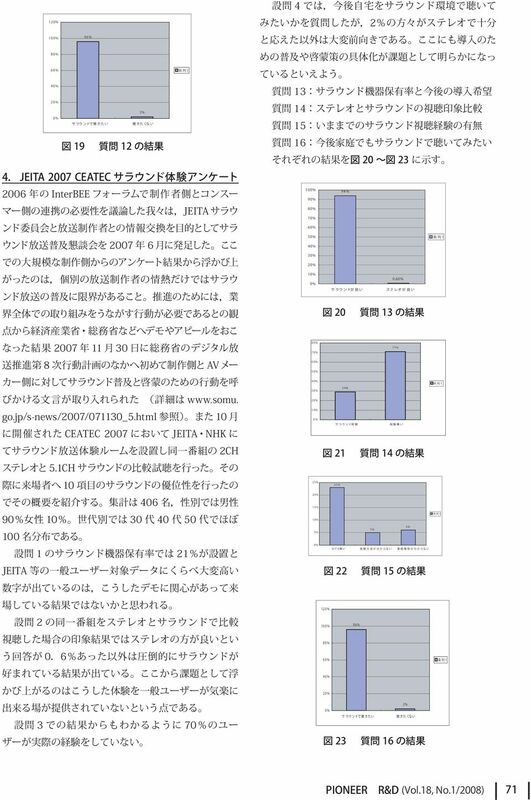 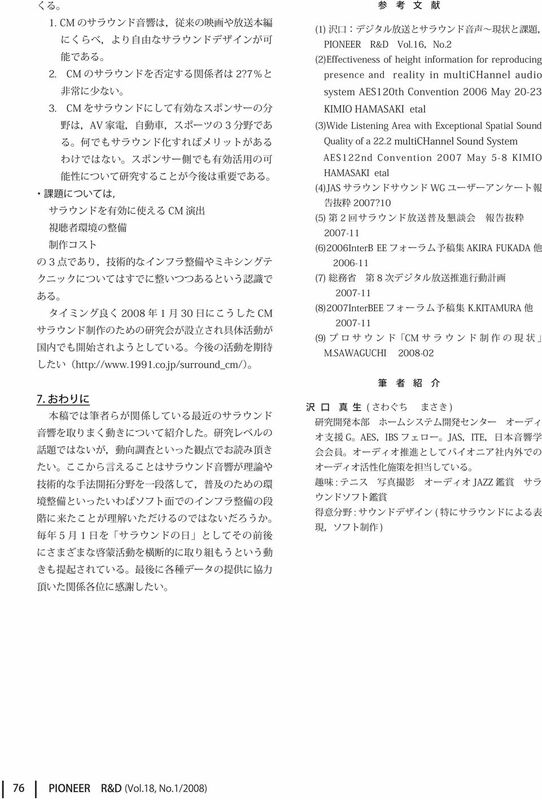 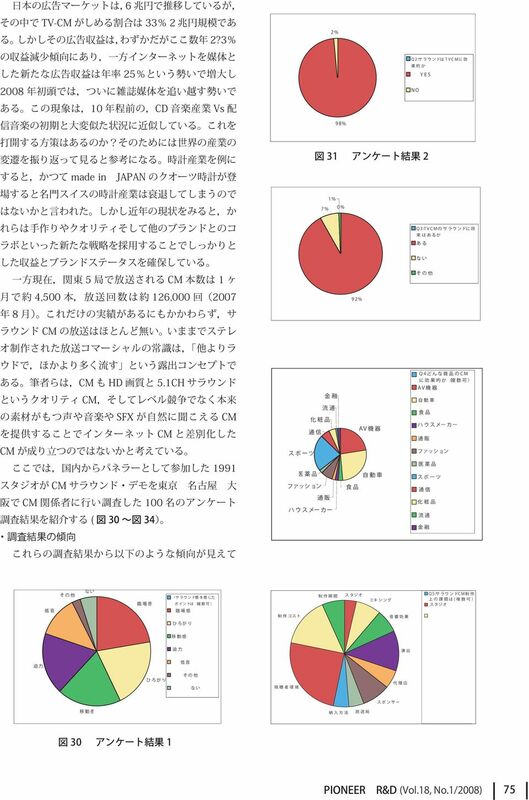 1 Recent topics in surround sound audio Masaki Sawaguchi Summary This paper will describe the recent trends in surround sound system based on the results of various investigations on this topic. 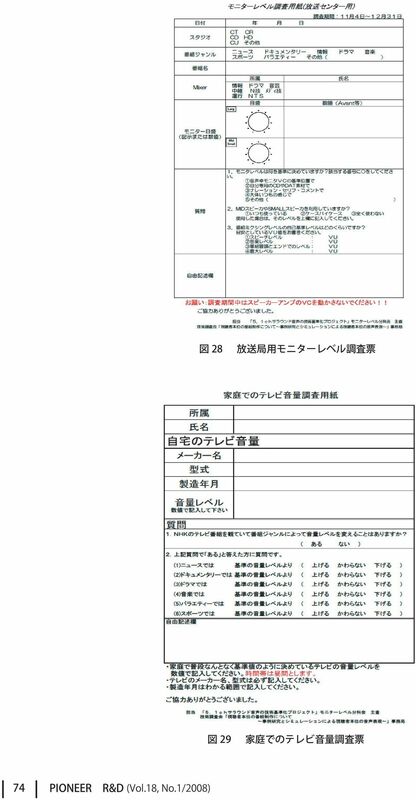 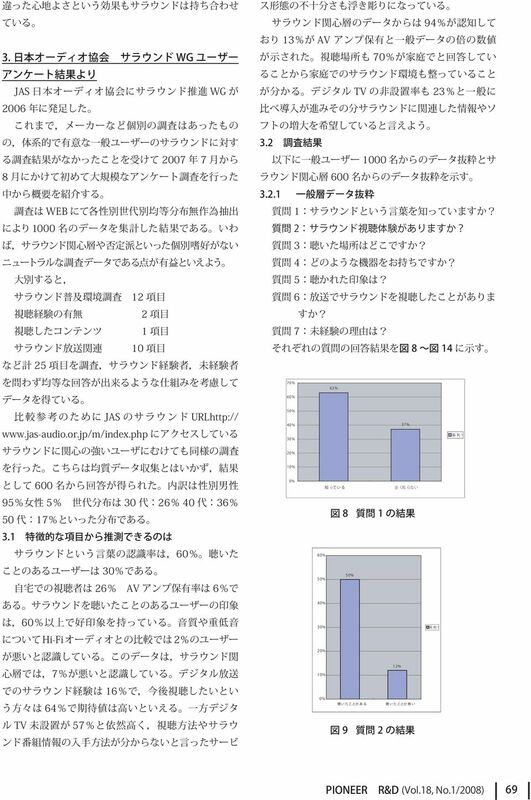 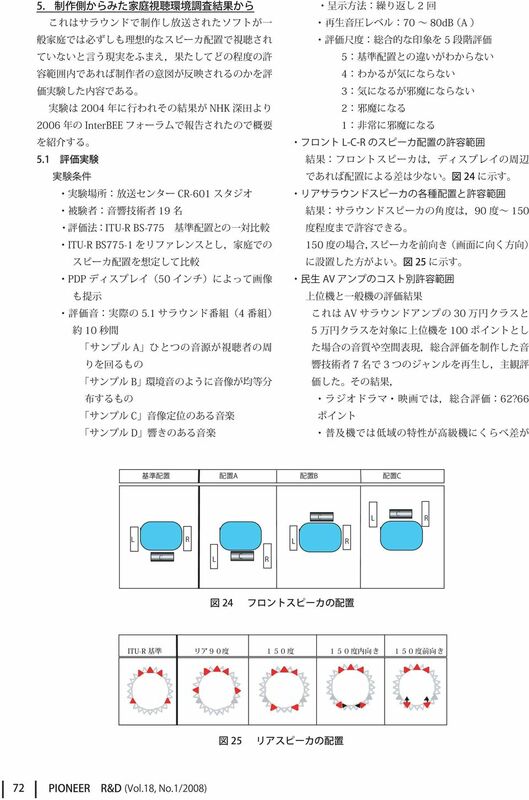 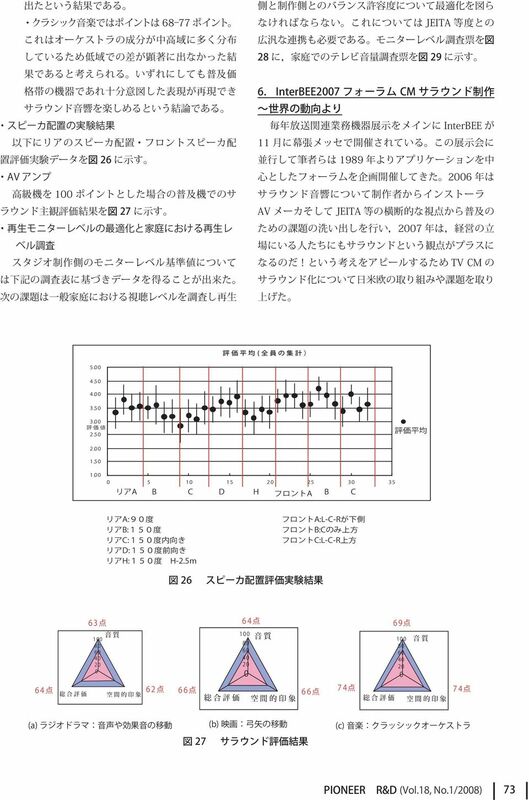 According to those investigation results, our theoretical analysis of surround sound and the development of the method of reproducing it has been completed. 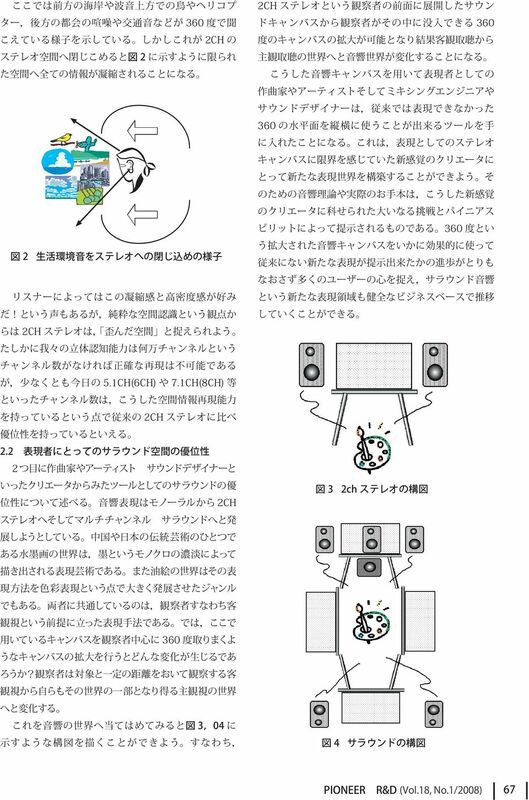 To encourage the use of surround sound systems by many users, the development of contents that effectively reproduce the surround sound is necessary.